Hi jammers, racoons are here! Oh, AJHQ, I am ever so sorry to dissapoint you, but most of us already know racoons are here. On to the next page! Notice the animal in the middle of the picture is a racoon, the one in the right a Snow Leopard and they are all member? Well, BB´s lab has been changed. For better or worse? Yay or nay? Do you notice something, appart from the dissastrous dissappearance of the foot? Well, take a look at this other picture. It used to say Brady Barr and now it says only Brady? I wonder why the HQ changed it? I will email them about it, but they are probably tired of all the mails they must get. Well, this is the Brady Theatre. Cute Pets, but raise your paw if you are fed up of Member Gift Pets! -raises paw-. Yes, Lucky Day is here! I might make the blog look Green and full of clovers to celebrate lucky day. Wow, great hat! I entered a hat wich said BRB in big letters. I thought it might be usefull. And yes, there is heaps of new racoon stuff. A topiary (non member) and toys, plushies and a banner. Happy jamming! Hi, today´s new item is..
People think all those things about poop are funny, and I don´t have anything against that. But particulary bird poop reminds me too much of when a bird poops right on your head. >_<. Sorry if I bored you with my explanation on my opinion of poop. Credit to snowyclaw for the pic. Sorry, no time 4 more! Today´s rare is the Rare Astronaut Helmet. And look what a cool card! Picture credit to snowyclaw. And, we now have 18 followers! Yay! "Only" 32 left for the contest! She is a Tibetanian Terrier so snow makes her really happy! Sorry if that was kinda of topic. Hi! If you are Ainoa18 looking at this, well here is the overall den view you asked me for! I know it is a little bit weird in some places, but I still have to practise overall view making. If you want an overall view like this of your den, then comment and hopefully in a few days I will post it! Jam on! Hi, this is my new story. Zippypuppy was a puppy that lived in a jammers den. He had the life of a normal puppy. His owner occasionally took him to play Disc Toss and he sometimes had a walk around Jamaa, but most of the time he was in his owner´s den with the other pets, and one day he became tired of being there all the time. “I have great news” he told to Rivernocerous, his fox friend. 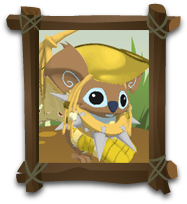 “I am going to leave this den, because I want and adventure, so bye, I want to explore Jamaa.” Rivernocerous wished him good luck and he left the Acacia pet tree were he always was with all his friends. It was strange to leave the tree, because he had never explored the den all by himself, only by the side of his owner. It was a castle den, and he skipped through the garden, which had a porch swing, some plants and a swimming pool, and he entered the castle across the entrance bridge. The next room was a normal living room, with couches, and a table with a tea set. The rest of the den was pretty much a normal den. But at the top, he saw and arcade full of game machines. “Wow” he thought “I have never played one of these games that only jammers play. I will try one” After looking at all of them, he chose long shot. He pulled the string and, just when he freed the armadillo to make it shoot, he hopped to his back. He went through countryside, ice, and even a strange place full of lava. In the end he landed in Jamaa Township, and he started to look around and thought about what to do next. Most of the jammers were too busy chatting, trading and playing games to notice that there was a puppy wandering around all by himself. He decided to have a bath in the river, but it was covered with ice. But after all, skating is also fun, he thought. So he skated across the frozen lake and ended up in the lost temple of Zios. “Now this looks like an interesting place” he thought. He looked down the Zios Pit, and a phantom came out. He got scared and ran away, and ended up in front of the chamber of secrets. “This looks extremely fun” he thought, so he went inside. He was amazed at all the things that were in there, but didn´t touch anything, as he was intelligent enough to know that you should never play with magic. He looked at everything, and then came out. He went inside Brady Barr´s lab, and he made a potion. He wondered what would happen if he drank it, but he had heard too many jammers tell stories about strange and horrible things that happen to you if you drink a potion without knowing what effect it might have on you. He had even heard that a jammer had discovered a potion that would make everyone who drank it change color every second. “I bet Cosmo knows what all these are for” he thought. But he didn’t want to take any risk with strange potions so he just went out of the lab. He walked to crystal sands, and decided to have a smoothie. It took him a while to climb on the machine, but he made it and grabbed a glass that was almost as big as him, and started trying to fill it with oranges, the flavor he had picked. But unfortunately an orange landed on him. He couldn’t get up, and he felt lots of other fruits fall on top of him. So after that little incident, Zippypuppy was able to continue his adventure. He swam in the clear waters of Crystal Sands, and then went to Coral Canyons. He wasn´t very interested in that land, but he went into Peck´s Art Studio to have a look. He was delighted with the sight of lots of paint and paper. “Wow” he thought. “I am going to be an artist” He had a great time painting. He was only a small puppy and the paints and paper were big, but for a clever puppy like him that was no problem. He brought some paint tubes to next to the paper, and jumped on them until he had a nice, thick layer of paint of many different colors on the paper. He made a mess by trying to spread the pain evenly with his paws, but he managed to end up with a paper with lots of paint with grooves in the shape of a star. Then he noticed he was totally covered in paint. But he used his messy, colorful paws to make another painting, filled with paw prints. Then he went into Sarepia forest, had one popcorn and saw some movies. He also drank hot cocoa with marshmallows, Kit Kats and crisps in Mt. Shiver, and splashe din the hot water pool. He played in the mud in Appondale and after all that fun, he went back to his owners den. Hi! 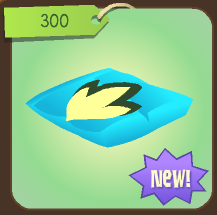 Todays new item is the Underwater High Definition Television. And it also has some really cool new channels, check this GIF. Note: That annoying winged seal that gets in the middle all the time is Ainoa 18 :p. He wanted to be on the GIF. P.S. Please vote on the poll I put! 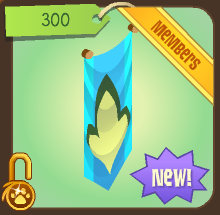 Hi, Todays new item is non member! Picture credit to snowyclaw. Cool! Perfect for a non member den. Well, as it is Saturday, I might do some posts on games or a new AJ legend or poem later in the day. Jam on and remember to join the blog! P.S. Click here if you want free rares! Were can you play it: Bahari Bay, Sol Arcade. 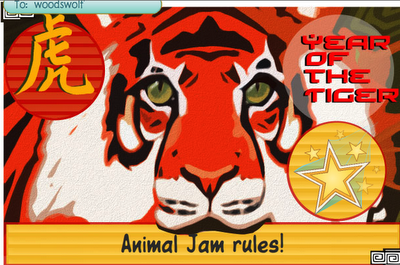 Rules: Use the arrow keys to avoid obstacles. Go through three rings to get a speed boost! Win 10 races in a row to unlock PRO MODE! Were can you play it: Chamber of secrets, Sol Arcade. Rules: Click or hold the mouse button to shoot a ball. Hiting a sun with a ball lights it up. Light up all three suns to earn a gem bonus. Hi, so the new item is a quite neat (and member and expensive) underwater furniture item. Well, not much to say about it, right? Bye, I am going to work on the page I am making, it is about games ;). Hi, so it seams that AJHQ are in Cowboy Mania, because the new item is also cowboy themed. Strangely it only has three colors... Red, Brown and pink. P.S.Click here for free rares! Hi, the new item is a Paradise window sold at the Paradise party. Cool, it makes it look as if you live in some sort of paradise, though. Well, happy jamming and don't forget to comment. P.S. 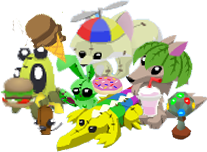 Click here if you would like some free rares. Hi, the new item is matching with the cowboy hat sold at the Horse only Party, the cowboy boots! I used them with the cowboy hat to make a new outfit for my bunny. See ya all in Jamaa! P.S. Do you want free rares? Then click this sentence! Hi, today´s rare is a blue firefighters hat. Sorry, no time for more, I have an exam together so I have to study. Oh, and can you please join my blog? When I have 20 followers I will raffle a few rares between the followers, so if you want to win free rares then I suggest you join :D.